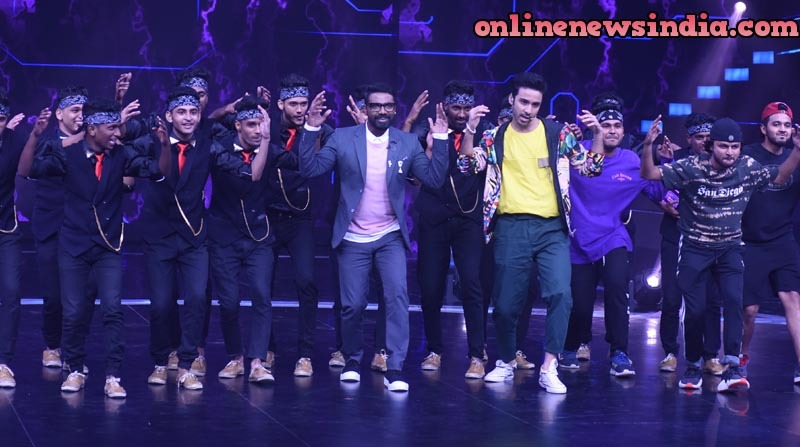 Mumbai, October 05, 2018 (Team Online News India): It’s a big moment for any contestant when the Bollywood’s most accomplished choreographer and director showers you with a compliment like this! Dance+ 4 super judge Remo D’souza was thoroughly impressed with a different rendition of the choreography of his song Allah Duhai Hai from his recently release movie Race3. After the Gang 13 was done with their act, Remo was quick to add- “You guys were outstanding! I am so proud of you. The way you have interpreted the song from my film and put in your style was simply brilliant especially the signature step is to another level. My choreography was high on energy, but after watching you perform, I wish I had seen your performance before, I would have asked you to do the choreography! Remo’s appreciation was not restricted to his comments, he quickly joined the Gang 13 group on stage and performed their signature step. Needless to say the happiness of Gang 13 was on cloud nine after sharing the stage with Bollywood’s biggest choreographer & filmmaker.